Can you believe we are now into the last quarter of the financial year? As the year gets busier and busier, we need to ensure we leverage from the others around us. 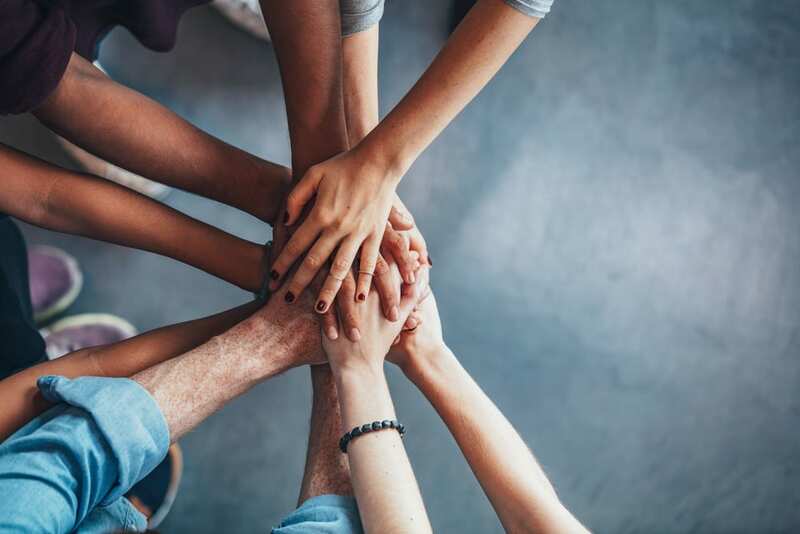 This month we focus on teams, highlighting the impact of highly effective teams and providing guidance on how you can work more effectively together. Next month we also have our popular women’s leadership program being offered in Sydney. Be quick as places are limited. 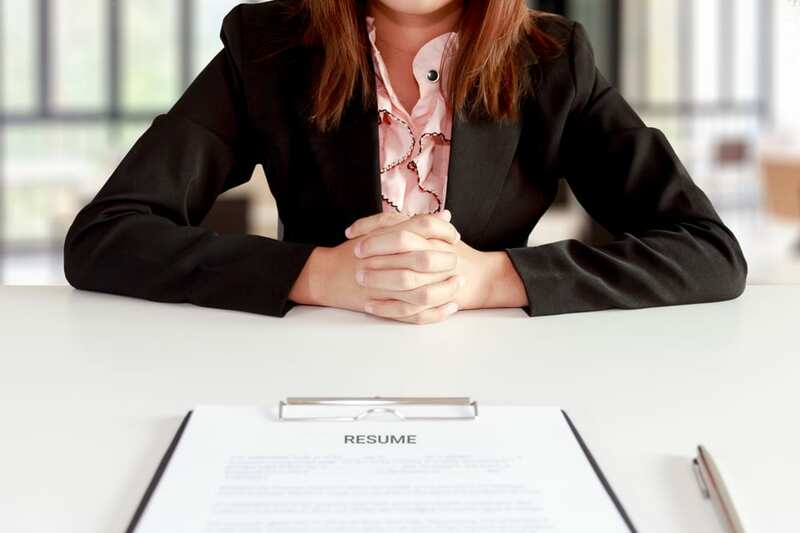 During March, I had the pleasure of being interviewed by journalist Sylvia Pennington on how females can find their voice to negotiate salaries reflecting their true market worth. Read more about this below. I am delighted to be able to showcase a member of our team to you each month. Learn more about our team as we ‘go behind the scenes’. It is said that a good team is greater than the sum of its parts. By working together, all that brain, heart and muscle produces so much more than the total efforts of people working on their own. Yet, so many of the teams I work with seem to resist doing the work that creates the chemistry for effecting teaming. Team chemistry is the “yeast” that gets teams to rise to the occasion. Without it, teams simply fall flat. One of the easiest ways to improve team performance is to invest a little energy on understanding work styles and differences. They are actually pretty obvious to observe. Think about the most effective team you have worked in. What styles were present? Often you will see diversity: some people jumping into conversations early and others staying back to consider; some people striving for consensus, while others are driving for decisiveness. Sound familiar? These style differences can be frustrating when they are not understood. When they clash, the team not only loses the opportunity to have the “magic ingredient” of teamwork, it may also sink into unproductive – even destructive – dysfunction. But when they are understood and appreciated, the team generates more together than the sum of the parts could ever generate alone. It takes some understanding and communication to be able to accommodate these different approaches – each of which is effective in its own way and at an appropriate time. The good news is, it is possible. Using data from 190,000 people, professional services company Deloitte, identifies the following four primary work styles. Pioneer: Outgoing, focused on the big picture, spontaneous, drawn to risk, adaptable and imaginative. Integrator: Diplomatic, empathetic, traditional, relationship-oriented, intrinsically motivated, non-confrontational. Driver: Quantitative, logical, focused, competitive, experimental, deeply curious. Guardian: Methodical, reserved, detail-oriented, practical, structured and loyal. Ideally, teams achieve a balance of all four. But often that is not the case. Certain styles tend to be drawn to certain career choices (think of a group of statisticians), which can create lopsided group dynamics. As an example, a workshop I led benefited greatly from identifying the styles of its 16 participants. This particular team, which was working on leadership development over the course of a year, was carrying some tension. Any group has its ups and downs, but this one was particularly strained. Using a styles activity, similar to the Deloitte one described above, we discovered about two-thirds of the group had a personal style that could be described as “Driver”. This is a person who is quite fast-paced, quite direct, doesn’t hold back opinion and is more comfortable with taking risks. Once the group recognised they had this dominant style, they were able to talk about it and how it was impacting the group dynamic. It gave them an understanding from which they could build. When you have a dominant style like this in a group, then others in the minority tend just to retreat. It is like having too many predators in the fish tank. To improve the group dynamics in a scenario like this, you start by allowing people to self-identify their styles (you don’t want people to feel they are being labelled or judged). Improvement often comes from simply pointing out that in an evenly-balanced team, 75 per cent of the people will be different from them. People should also pay attention to where the opposite styles exist in the group and work to build on the strengths that can be created by understanding and appreciating the contributions from the polar opposite style. People often ask me ‘what is wrong with having a dominant style in a team?’ At one level, a group of Drivers can get things done more quickly. But, being overwhelmed by one style can create a cognitive bias in the group. In the workshop I facilitated, a lack of Guardian styles was leading to too many mistakes, and too few Integrators was resulting in people taking offence and abandoning the group. Understanding people’s different styles is even more important in times of high stress and conflict, when people tend to default more strongly to their type. When differences are left unspoken, people tend to make assumptions about the motivations of others: that person is brusque because they don’t like you, that one is dragging the chain because they are lazy, or that one wants to leap to the next project because they are bored. Lack of information creates a vacuum which gets filled with suppositions. By segmenting the team into types, you can fill that information vacuum and see that the first just wants to get things done, the next one is checking for errors that may derail the project, and the third is merely excited about new possibilities. When I see teams that are working in silos, it is usually not a lack of technical skills that is the problem. It is the interactivity (or lack of) between individuals that is getting in the way. When this happens, people revert to a more comfortable, siloed, approach and focus on their individual preferences, rather than the team. The Stephenson Mansell Group is holding a two-hour Team Dynamics Masterclass in Sydney on May 22. During this session, we will talk about how we apply tools such as exploring people’s work styles and more, in our work with teams. This session will be ideal for anyone struggling to break down silos. Email events@smgrp.com.au for more information or details. And if you are based outside Sydney, let us know if you would like us to offer this closer to you. About the author: Janet Horton has more than 25 years of leadership, business development and management experience, including 10 years in senior leadership positions. Her industry experience spans IT, financial services, government, education, and SME and includes work in Australia, the US and across Asia. 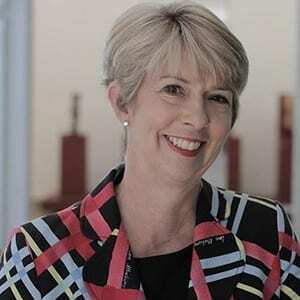 She also started and ran her own organisational change consultancy for five years and served as an Executive Coach and Senior Facilitator to senior and high potential women for Women and Leadership Australia – an organisation dedicated to supporting a higher representation of women throughout the Australian workforce and broader community. Janet facilitates programs for senior leaders and their teams who are serious about creating real change. Janet has a Master’s degree in Organisational Coaching from Sydney University and is an active member of the University of Sydney Coaching and Mentoring Association. Designed to help female senior leaders to align who they are with how they lead, this program has a practical and hands-on approach and focuses on personal presence and communication; resilience; change and complexity; and finding your mentors and sponsors. To embed the key learnings from the program, and to enable participants to explore specific challenges and opportunities, the two one-day workshops are supported by two individual coaching sessions with a member of our coaching team. The first of our Executive Presence and Impact Workshops in February sold out. Tickets for the 19th June program in Sydney are selling fast … Make the most of this opportunity to experience an immediate impact on your presence, and deliver with improved confidence; understand how to quickly connect with audiences; and learn the secret to speaking less and saying more. “Peter is very engaging and personable – He respectfully challenges and moves you out of your comfort zone”. “Detailing a principle and then providing examples and practice was helpful”. Stephenson Mansell Group has introduced a series of free 2-hour Masterclasses for 2018. Join us throughout the year as we share our expertise and knowledge on a range of topics in the leadership and coaching space. Places are strictly limited, email events@smgrp.com.au to find out more. Leading highly effective and high-performing teams is a continual process involving feedback and communication. Leigh Thompson of the Kellogg School of Management, shares with us five strategies for leading a high-impact team. 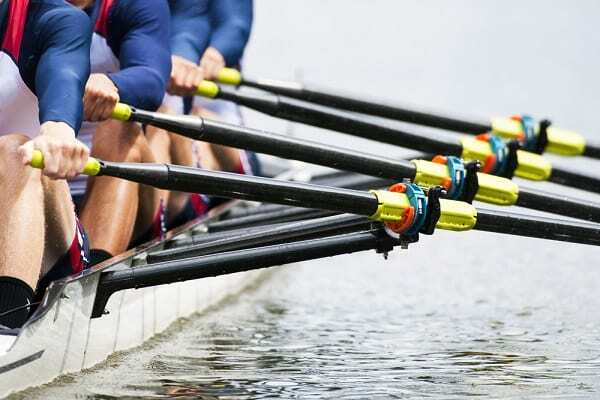 Listen to Peter Hawkins, Professor of Leadership, Henley Business School as he discusses the five disciplines of high performance teams: Commissioning, Clarifying, Co-Creating, Connecting and Core Learning. Why not take this short quiz from Mindtools to explore just how good you and your team are at teamwork and team building? This month in ‘Meet our Team’ … Meet Kerrie Kelly. Tell us a little about the industries and/or areas you specialise in? 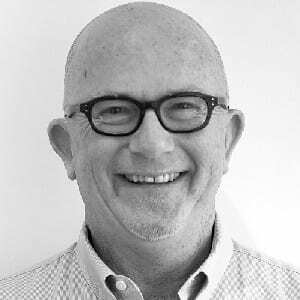 As an executive mentor and coach, I tend to specialise in industries mirroring my own leadership career: financial services, transport, manufacturing, technology, medical research and health; and, across many types of organisations including corporates, government bodies, family businesses, member associations, and law firms. I became formally involved in coaching and mentoring when I worked in the NSW Roads & Traffic Authority because I was seen by others as having a success story to share: I was a senior executive who was also ‘juggling’ a family with four children. As one person’s set of solutions to work and life’s demands doesn’t fit all, I quickly learned to be in conversation with the people I was taking to about what had they tried, what did and didn’t work for them, what could they do differently? Out of that developed my approach to helping guide and develop other people. Whether you or your company pays for you to participate in a program, the detail of the discussions you have with your coach/mentor are confidential. So, the program is a ‘safe’ environment to be challenged by your coach/mentor. To get the most out of your program, it is important to be yourself and be honest about the issues you are confronting and how you may be dealing with them so you can explore and try out other ways of operating. I love walking, and particularly getting off the beaten track. My husband and I travel when we can and ensure we have at least one walking ‘expedition’ each year – this year we are walking part of the Heysen Trail in the Flinders Ranges. As a child, I was on a large car ferry that sank in the North Sea and, to this day, I am terrified of being inside or below deck on a boat. No cruising holidays for me! My greatest inspiration is my paternal grandmother – her husband, my grandfather, came home from World War 1 and died a long and painful death from mustard gas poisoning. Consequently, she had to look after my grandfather, earn an income, and raise my father and uncle single handed – all at a time when society was not supportive of working women. Amazingly, she owned and ran a hardware store – there wasn’t anything she wouldn’t tackle nor anything she couldn’t fix! The greatest lesson I learned is to live my own life and not to be limited by other people’s expectations or aspirations for me. I have learned this along the way when my choices may have at times disappointed or surprised others but they have been my choice to make!